LAHORE: Engro Corporation on Friday announced it had concluded the share purchase agreement of divesting 29% of its stake in Elengy Terminal Pakistan Limited (ETPL) to Vopak LNG for $31.378 million. In a notification sent to the Pakistan Stock Exchange (PSX) on Friday, Engro Corporation said the share purchase agreement reached in July this year for the divestment of up to 29% stake of ETPL to Vopak had been completed on December 13th, 2018. The total foreign direct investment (FDI) from this deal is expected to be around $31.4 million dollars. This is the culmination of over a year-long due diligence exercise by Vopak that delved into the operational, financial and regulatory aspects of this transaction. It also takes FDI generated by Engro to $550 million in total over the last three years. This inflow of dollars places Engro among the top 15 exporters of Pakistan in terms of foreign exchange receipts on an annualized basis during this period. In end-November it was reported Vopak would purchase a total 44% stake in Elengy Terminal Pakistan Ltd, which operates the country’s first liquefied natural gas (LNG) import facility. The acquisition was to be done in separate transactions with International Finance Corp (IFC) and Engro Corp.
Vopak had said the closing was expected to take place in the first quarter of next year. Engro Corp in mid-November said it required a year before it could move ahead for establishing its second LNG import terminal in Pakistan since domestic gas regulations needed clarification and new pipeline commitments are needed. Trading house Gunvor, Royal Dutch Shell and Fatima Group are partners of Engro Corp’s second planned terminal which will be situated at Port Qasim, Karachi. 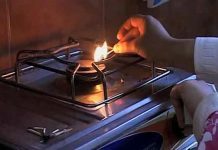 It has also clashed with the government over its call for renegotiating the LNG contract signed with the previous PML-N administration. The chemicals-to-energy conglomerate in October hit hard at the government and stated it had no contractual right to reopen or renegotiate the LNG contract. Elengy Terminal is Pakistan’s first liquefied natural gas (LNG) terminal which commenced operations in 2015. It comprises an LNG jetty and a pipeline connected to a Floating Storage and Regasification Unit (FSRU) and leased by ETPL for a duration of fifteen years. Due to the country’s depleting natural gas reserves and rising shortage, the previous PML-N administration had reached a fifteen-year agreement with Qatar in 2015 for LNG imports to meet the country’s increasing demand. 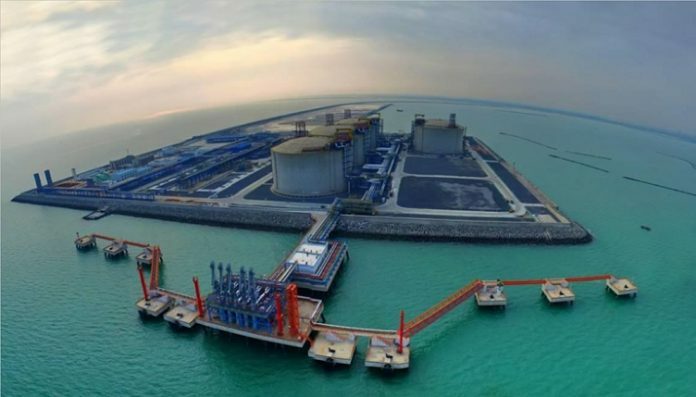 And in 2017, Pakistan GasPort Consortium Limited (PGPC) had established the country’s second LNG terminal which is located at Mazhar Point, Port Qasim, Karachi. Engro Vopak Terminal Limited is a joint venture of Royal Vopak of The Netherlands and Engro Corporation Limited. It has provided world-class service to the growing chemical and petrochemical industry of Pakistan since 1997. Elengy Terminal Pakistan Limited (ETPL) operates a terminal for storage, handling, regasification, treatment, and processing of liquefied natural gas (LNG), re-gasified liquefied natural gas (RLNG), liquefied petroleum gas (LPG). The company was incorporated in 2012 and is based in Karachi and it operates as a subsidiary of Engro Corporation Limited. 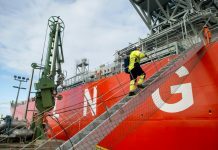 Vopak LNG Holding B.V. operates a liquefied natural gas terminal at the Port of Rotterdam, the Netherland and it provides terminal access to gas suppliers and off-takers to Europe. The company is based in Rotterdam, the Netherlands. Vopak LNG Holding B.V. operates as a subsidiary of Royal Vopak NV. Engro Corp shares were trading at Rs299.02, up Rs4.10 (+1.39%) at the opening on Friday. KSE-100 Index was trading at 38,130.25 points, up 118.62 points in the first half-hour of trading on Friday.